At first glance, looking north on Franklin Street, from Madison Street, all of the buildings look to be different. 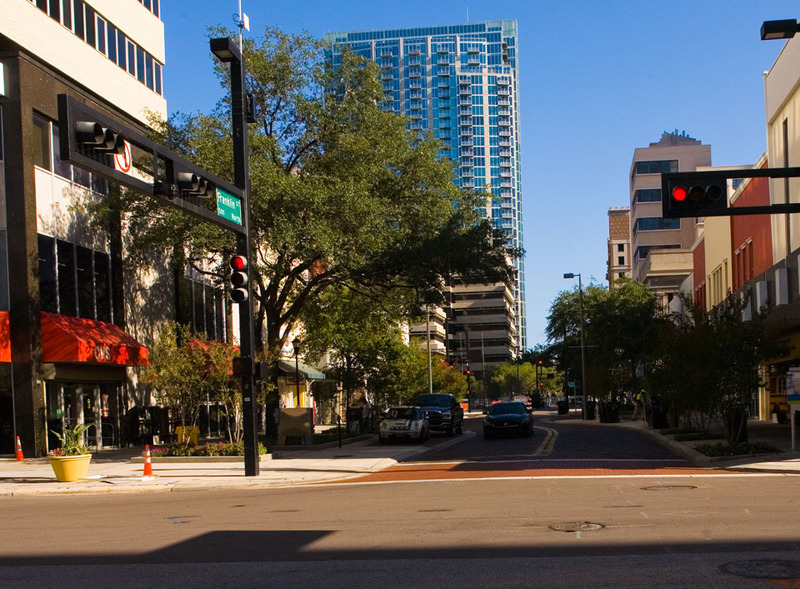 However, if you look closely, you’ll notice Tampa Theatre in the background, the Exchange National Bank of Tampa, as well as a few other historic buildings on both the east and west side of the street. Also, notice how busy Franklin Street used to be. 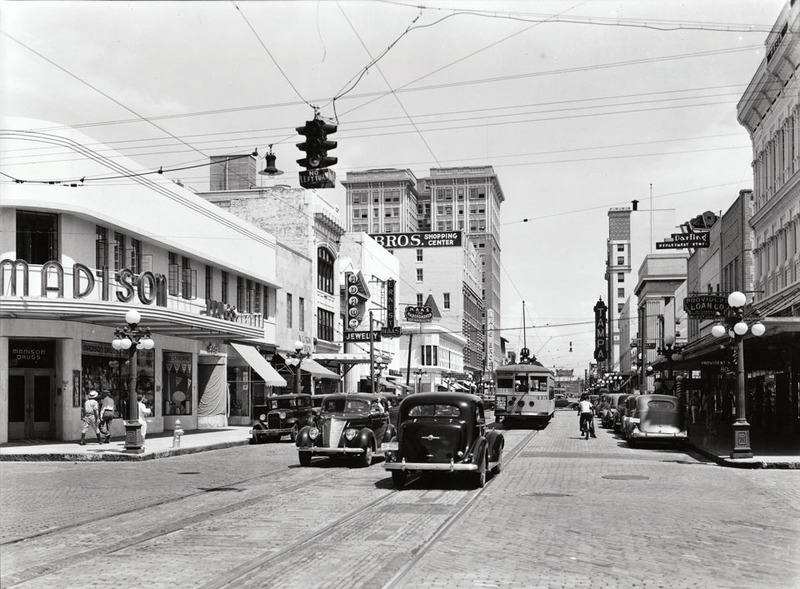 In the historic photo there is a trolley, lots of cars, and even people shopping!